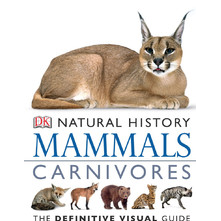 Mammals – Carnivores brings the subject to life like never before, in this educational iBook book. Stunning images and gripping and heartwarming videos draw kids back to the text because they want to know more. It is clearly shown why these mammals are highly successful. Some change colors to blend with the season, while some use rocks as tools to open their food! This iBook textbook is presented by DK Publishing. They do a fantastic job putting these books together and making education exciting! There are illustrated profiles of almost 200 specimens and expanded profiles on key species. 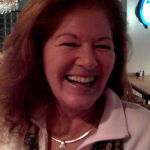 The iBook is filled with videos, slideshows, animal sounds and ore. Our videos will show you specific iBook features as well. We cover scrolling the chapters, taking notes, iPad adjustments, bookmarking and more. Polar Bears, Wolves, Foxes, and More! Animal Sounds! Otters, Sea Lions, Videos, and Slideshows! Raccoons, Sloths, Bears and More, All in Action! Lions and Tigers and Leopards! This iBook is loaded with action! This educational iBook book is a great addition to your kid’s toolbox for life!